Howard B. Helf, 78, of Dewitt. 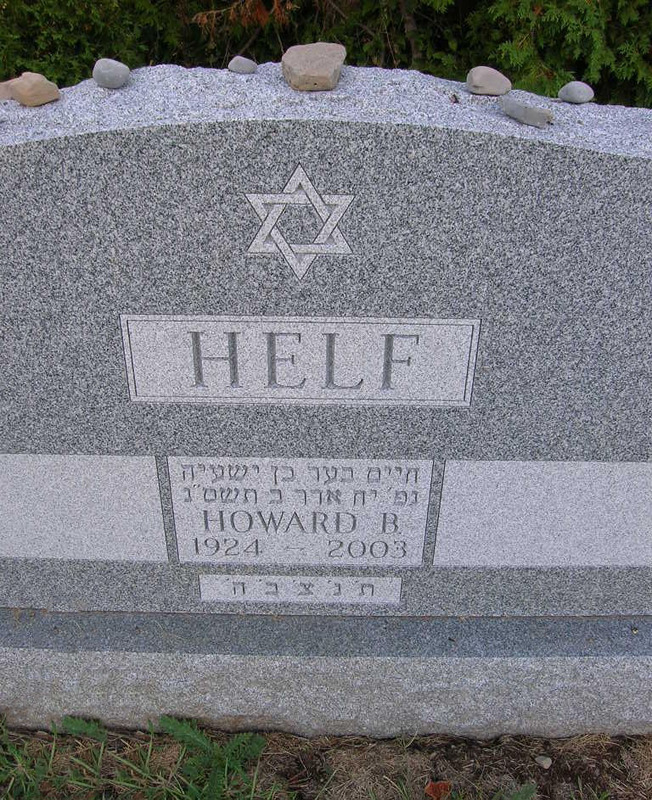 Born in Utica, Mr. Helf was a resident of Syracuse for the past 75 years. Mr. Helf was a graduate of Nottingham HS, Syracuse University Class of 1948 and Syracuse University School of Law, class of 1951. He was an Army Veteran of WWII. Mr. Helf retired in 2001, as President of Onondaga Title Services. He had formerly practiced law as a member and partner of the Hancock Law Firm. Mr. Helf was a member of the board of Directors of Temple Adath Yeshurun and a former Secretary of the Executive Board; a past President of the Onondaga Title Association; a past President of Consolidated Industries; a past Chairman of the SU Hillel Advisory Board; a past Chairman of the SU Alumni Inter-fraternity Council; a past Board-member of the Mental Health Association and a past board member of the Jewish Community Center. Survivors: His wife of 48 years, Miriam (Roth); son, Thomas E. (Michelle); daughter, Marsha; sister, Barbara Siegel and granddaughter Gabriela. Services: 2:00 PM Monday at Temple Adath Yeshurun. Calling hour from 1 to 2 at the Temple, 450 Kimber Road. Burial in Adath Yeshurun Cemetery.